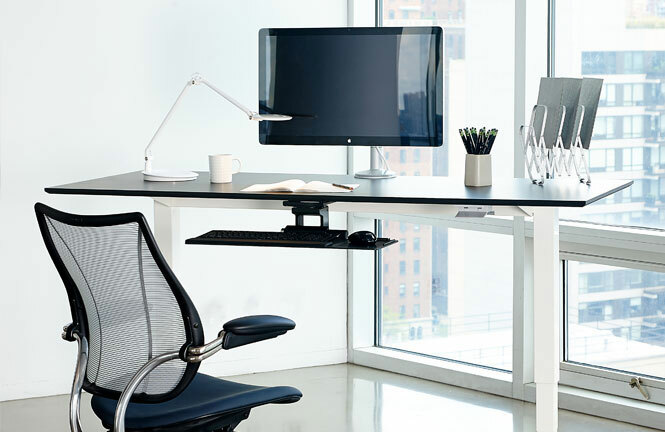 More than just supporting a computer, desks must meet a variety of user needs, from security to scalability and Systematic Facility Solutions’ products deliver. 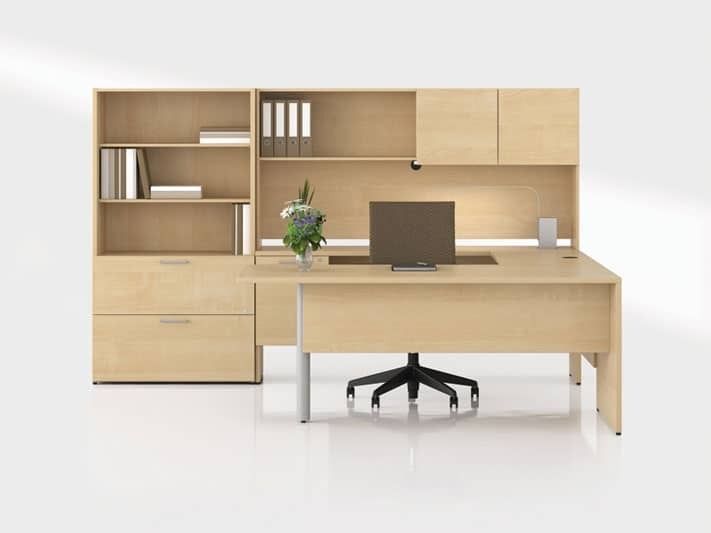 Our desk and casegood solutions provide user comfort as well as aesthetic integration with other products in the surrounding environment. 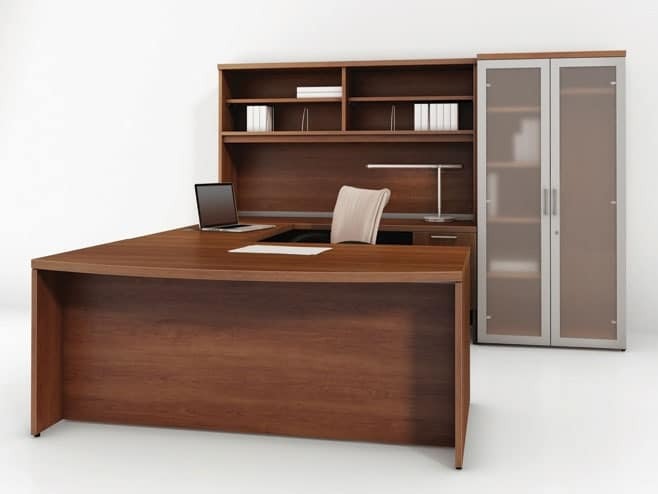 Our broad selection of finishes, eco-friendly manufacturing processes, and shared dimensions across lines make it easy to create a versatile and productive workspace. 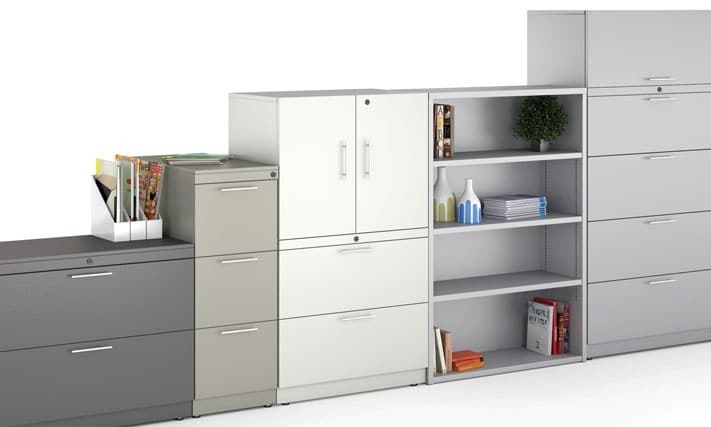 Maximize your investment with our readily integrated lines of office desks, credenzas, shells, and pedestals, as well as overhead and under-work surface storage options, cabinets, and mobile accessories. Every piece is precision engineered for style and durability. 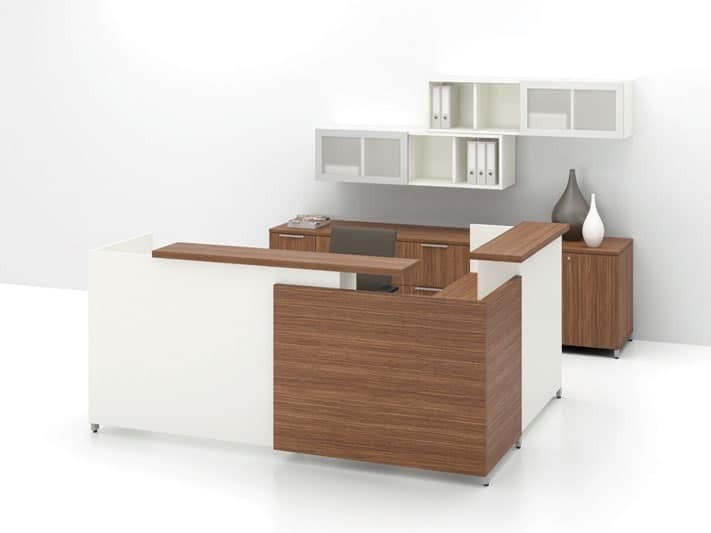 Systematic Facility Solutions is committed to sourcing high quality, stylish desks and case goods at an exceptional value. Through our manufacturer partnerships, we can provide traditional, transitional and contemporary styles with limitless choices of materials, finishes, and configurations. 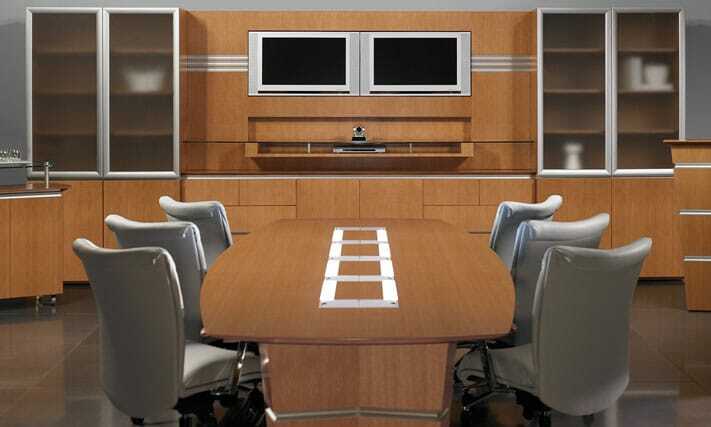 Whether new or used, executive desk to open-plan benching systems, Systematic Facility Solutions will furnish your office or workspace with the image you deserve while providing the kind of quality and reliability that lasts. Get started today with our complimentary planning guide. Total freedom. The concept of Options is so very simple: it is based on choice. It gives you the liberty of choosing colors, functions, dimensions and configurations. With Options, combinations are limitless! Just let your personality and your needs shine through to create the environment of your dreams. The numerous sturdy and distinguished components of Options will let you get the right balance between comfort, aesthetics and efficiency. A purely winning and inspiring combination! First impressions are paramount, since they imply, in the client’s mind, what goes on behind the scenes. This is why your organization’s reception area must reflect your credibility, your reliability and most of all, your professionalism. 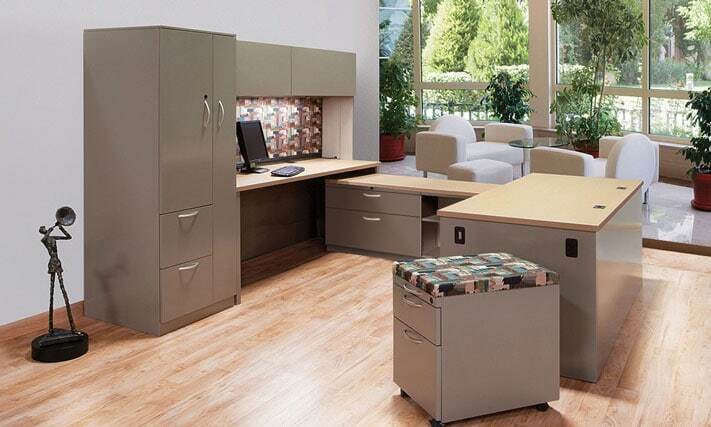 Choosing reception furniture from Systematic Facility Solutions is making sure you make a lasting impression. The combinations offered give you the opportunity to express your company’s distinctive character. Play with colors, shapes and textures to create a reception area to your image and make a difference! Prolonged duration of sitting have been shown to reduce productivity and increase health related work absences. 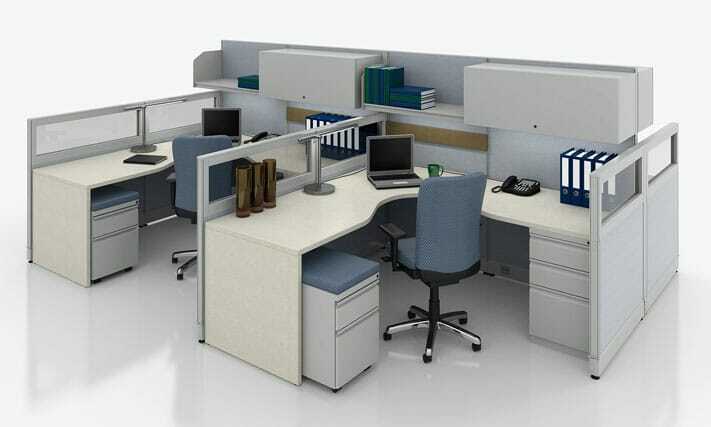 Sit-Stand Offices are becoming more and more popular among younger and more health conscious executives. A wave of new research indicates that sitting all day is actively damaging your health. By forcing a body designed for movement to hold a crushingly immobile position, sitting strains muscles, slows your metabolism, increases your risk of heart disease, and even shortens your life span. 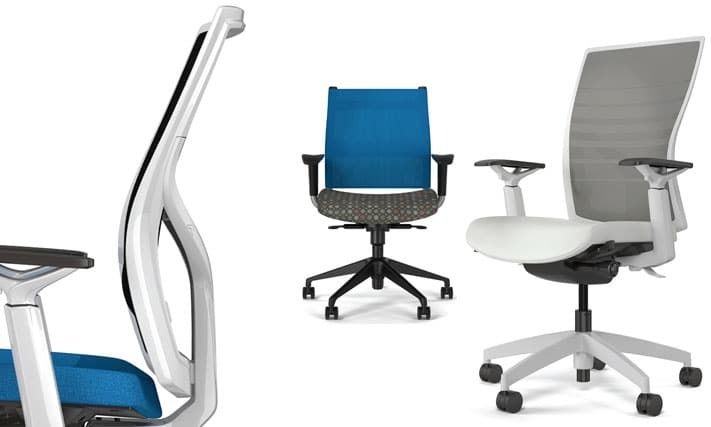 Our range of both Pneumatic, Crank and Electric Sit-Stand Ergonomic Height Adjustable Desk Options, are designed to promote healthy and ergonomic work environments that provide health-conscious workers with an opportunity to Sit or Stand throughout the work day. A proven workhorse in both educational and corporate settings, metal desks makes life simple for designers, installers, facility managers, and the people who put it to work every day.